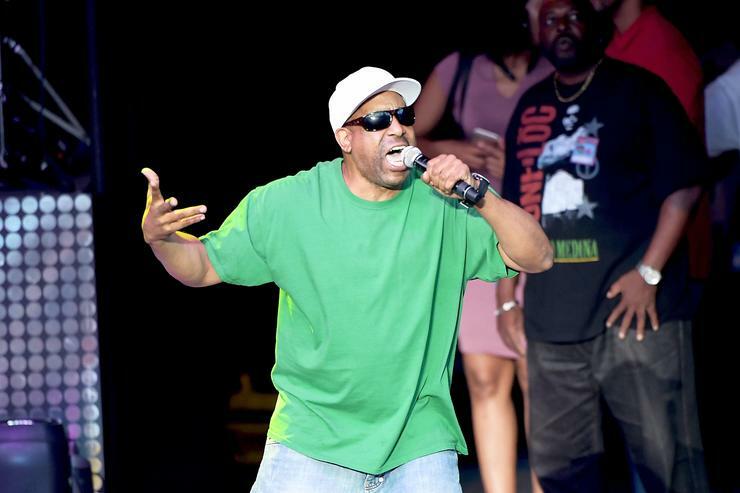 We haven’t heard much about Tone Loc since he collapsed onstage during a concert in Des Moines, Iowa back in 2013, but the legendary “Wild Thing” rapper reportedly had a recent run-in with the law. According to reports, Tone Loc, real name Anthony Terrell Smith, got into an argument at Midland International Air & Space airport in Texas with a white couple. Witnesses say that Smith became irritable after he spotted a teenager wearing a hat decorated with the Confederate flag. The teen was reportedly with two adults, a male and a female, and Smith asked them, “How are you going to wear that hat in front of a black man?” The parents snapped back to Smith, telling him that the child was a minor and it was none of his business what the teen wore. Smith responded by apologizing for how he delivered his initial statement, but he reiterated that he didn’t think the hat was appropriate attire. There was some pushing a shoving of Smith before he told someone to “get up off me.” As Smith and the man continued to argue with the woman in the background yelling, “This is America, freedom of speech! Freedom of religion!” two police offers exited the airport, walked directly up to Smith, and immediately handcuffed him. “Oh, but you’re gonna let him go?” Smith asked.